about 60 km north of Palermo in the Tyrrhenian Sea. Its geography mostly black volcanic rock is dotted with pink and red hibiscus and green cacti. It features a beautiful coast and grottoes. An Atlantic current maintains its water pristine and makes it a favourite setting for diving and being captivated by schools of fish and coral. The island has been a marine reserve since the middle 80s. Yearly in July divers worldwide flock to Ustica for the Festival of Underwater Activities. The Marine Reserve Visitors Centre on Piazza Umberto I can inform on activities water related, they can also set up guides for snorkelling, diving and boat trips. Secco Colombara (north) and Scoglio del Medico (west) are two of the best diving sports. For some zones such as Zone A permission is required to do any activity. (Via Petriera) and Tortuga( Via della Vittoria). They can also provide itineraries and recommend underwater archaeological tours. To travel around the island you can stroll or rent a bicycle. Excellent sights are in the woods with its paths leading to the peak of Guardia di Mezzo. Then you can head for Spalmatore which has beautiful rock beaches to swim in. 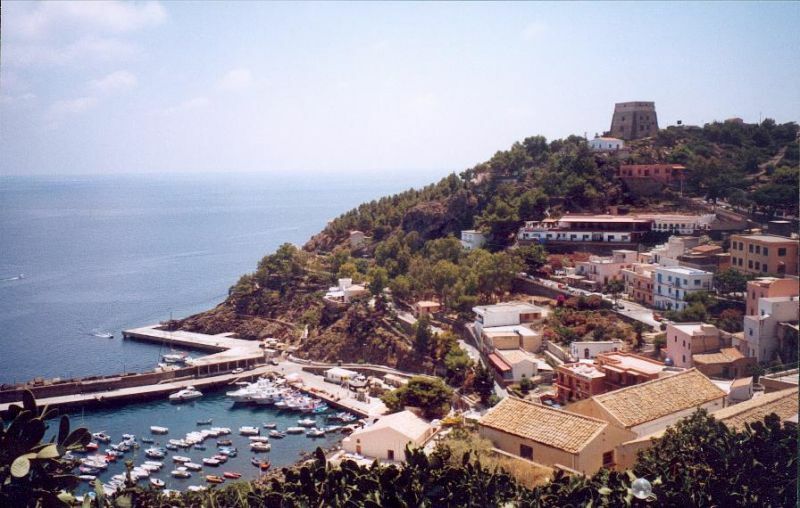 If you are into dancing check out the parties at Il Faraglione beach at Cala Santa Marina. The restaurant at Hotel Clelia on Via della Vittoria is recommendable. Trattoria da Umberto (Piazza Umberto I) serves good food. Giulia is your best choice in town (Via san Francesco). Booking is a must for its seafood dishes are superb. For excellent pizza head for Schiticchio (Via Tre Mulini). Also on Via Tre Mulini 220 bar serves cocktails and guarantees fun. BY FERRY. From Palermo (length: 2 ½ hours, services:1 a day). There are more services form June to September. There is a ferry connecting Trapani-Favignana-Ustica– Naples ( services: 3 a day from June to Sept). BUY BUS: for a round trip there are orange buses servicing the island (services: every half an hour). BY SCOOTER: a good option to go to all the scenic sports of Ustica (Albergo Via della Vittoria).